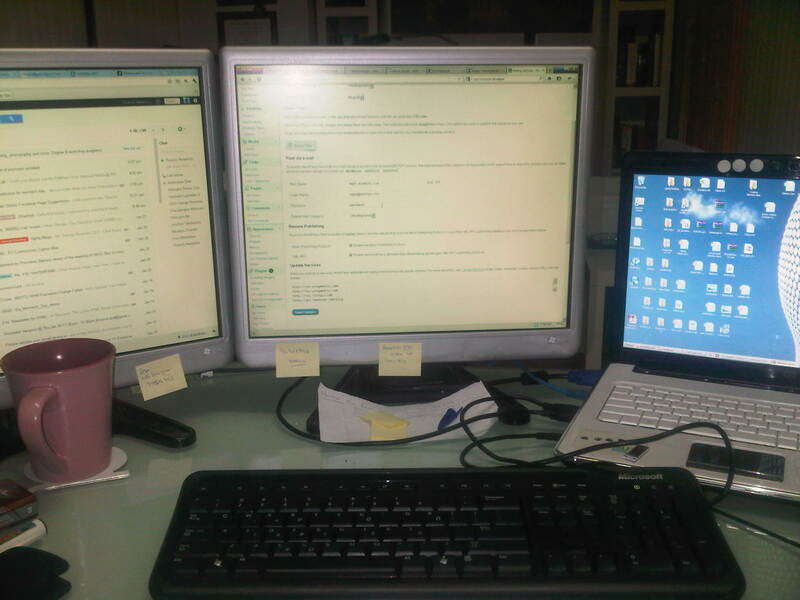 My desk has 2 screens three if you count the laptop. This might be a good way to get a tan. *this post is primarily written for test purposes. Published using a blackberry bold. Long live java. Thank you for the recommendation. The post is from work, where I was inhumanly tortured with a windows machine for a couple of months before my iMac showed up. What Linux distro are you using?